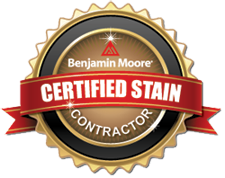 Since 1995, MDF Painting & Power Washing has always made it our goal to exceed our customers' expectations for painting excellence. Working on the tenets of honesty, integrity, and excellence, we strive for perfection in everything we do. 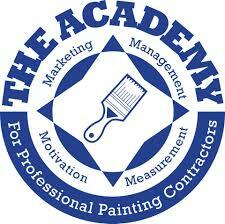 We specialize in providing both interior and exterior painting for properties all throughout state. Whether it's a small home or a commercial building designed to hold hundreds, you can count on our painters to get the job done quickly and thoroughly. By working with a wide range of different manufacturers, we are able to offer an impressive selection of color options so you can choose the perfect look for your needs. We also offer a variety of other services including pressure washing and deck staining. So if you want to protect your deck without compromising its natural beauty, or thoroughly clean tricky exterior surfaces, then our experts have you covered. Ready to start your painting, deck staining, or pressure washing project? Contact us today and schedule your free estimate in Greenwich, Stamford, Norwalk, and nearby! Love Where You Live! We strive to do more than simply put paint on your walls halfheartedly. Rather, it is our goal to improve your quality of life by making you feel amazing about your home or commercial property. When you enter your building or see the freshly painted exterior we want you to feel excited and proud. Communication is Everything. Too many contractors simply grunt when you provide directions and refuse to work with you rather than just for you. That's not the case with us. We always promise to give honest advice and a fixed labor price with no guessing or hidden charges. From pre-job meeting to final post-job walkthrough, you can count on constant communication. Painter for Life. We want to build a working relationship with you. We want to be "your painter." We stand by our warranty, the longest in CT, and we can inspect your exterior every year-free of charge! Relax and Enjoy the Process. We are professionals. We do the job right the first time while keeping your property clean and safe. Sit back, relax, and let us increase the beauty and value of your property.